Google finally grant the Pixel users access to the most awaited Android 9 via the beta program before its official launch. Following its every year pattern the tech giant released the latest Android upgrade for its flagship smartphones. In its blog post today Google announced that the Android 9 Pie is available for the Pixel users via OTA (Over The Air) update under the beta program. Besides the company also officially revealed the name of the new version, Android 9 pie, although we already knew that. Android 9 was first revealed by the company back in May at its I/O event where it teased new features coming in this Android version The significant features of Android 9 Pie includes the ‘Digital Wellbeing’ dashboard,’ AI-supported UI option and enhanced gesture-based navigation system. Besides, the software also received some changes to give a new look to the interface and a newly designed status bar especially for the phones with a notch. However, not all these features won’t be coming with the official release, though the Pixel users can get a taste of it via beta version. 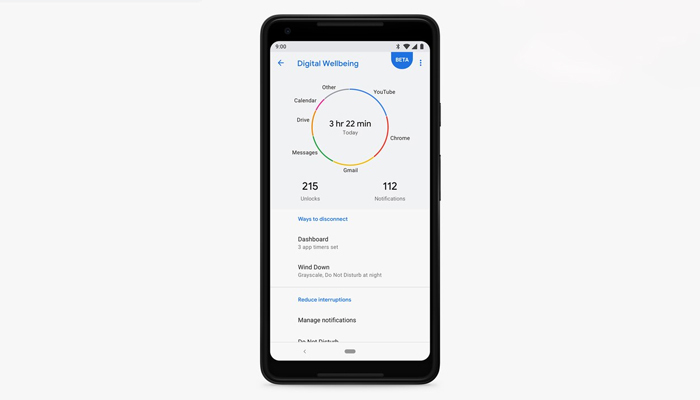 The ‘Digital Well-being’ dashboard is one of most significant addition to the Android that brings, usage dashboard feature, app times and ‘wind down’ settings for the users. This will enable the users to know how much time they have spent on their phone by further breaking it down into the apps they have used the most with detailed information. At Google I/O 2018, the company revealed a number of exciting features of Android 9 Pie, unfortunately not all the features are coming with the official launch. ‘Slices’ is among those features, that you won't be seeing anytime soon, the feature enables the apps to provide their core functionality into the search. For example, if you type, Duo into the search, it will ask you to make a call directly without opening the app. The feature seems to be very beneficial for, on the go users, it will save time and efforts as well. Moreover, Google also promised the users that this year’s Android upgrade will be better and will reach to their devices more efficiently. We all know that it is the toughest job for Google is to spread the new Android version across the complex Android smartphone ecosystem. Unlike Apple, it has to align with different vendors in order to make sure that their smartphones received the Android 9 Pie update on time. But, this time Google is working hard to resolve this issue, and that can be seen from the recent Android 9 Pie beta program. The tech giant partnered with a number of smartphone makers including Nokia, Sony, Samsung, Xiaomi, Oppo and Vivo under their Android P beta program to make the update available on various smartphones along with Pixel. “Devices that participated in the Beta program from Sony Mobile, Xiaomi, HMD Global, Oppo, Vivo, OnePlus, and Essential, as well as all qualifying Android One devices, will receive this update by the end of this fall! We are also working with a number of other partners to launch or upgrade devices to Android 9 this year.” Google wrote in its blog post. After its I/O event Google released the developers beta version of Android 9 Pie but that came with many bugs. In the developer version, the changed UI didn't seem that fine, but the things were improved in the later beta releases. Google says that it will release the Android 9 Pie officially in the Fall later this year. However, the Pixel devices will receive the update first and then it will drop the Android pie for other Android devices. The Android P beta 4 is the most recently released beta version of Android Pie. Google also promised that along with Pixel devices the smartphones that were the part of developer beta program would also get the Android Pie update in the Fall. 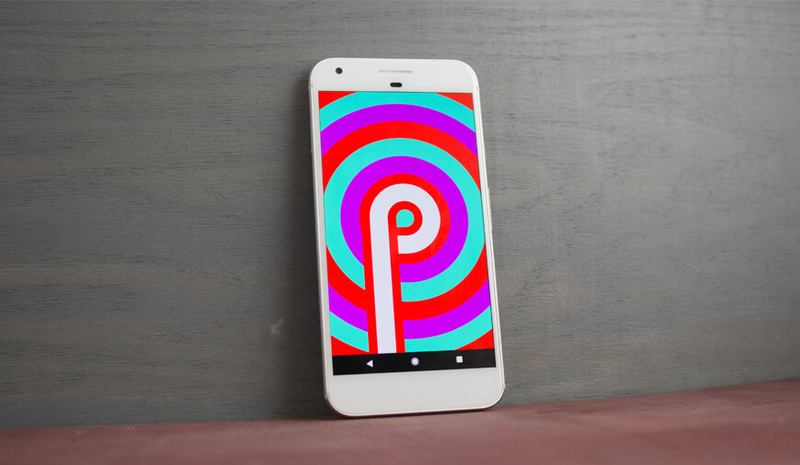 If you own a Google Pixel device and already have Android P installed on it, you can join the Android 9 Pie beta program here. How Does Using Mobile Apps Benefit Various Industries? Who Leaked Apple's iPhone 8 Design And Features?